Today, let's welcome Sharlene from Olduvai Reads. She is here to tell us about the Lunar Year and some books to go along with it! Today, let's welcome Colleen from JamandIdleness. She is here to tell us about some books and Festivus! The Association of Jewish Libraries kicks off its first Jewish Reading Challenge with #Readukkah during Hanukkah, December 6-14, 2015.
Review your book anywhere online: on a blog, GoodReads, Amazon, Facebook, Twitter, or even YouTube. Kids who need a place to publish a review can send it (with parents’ permission) to be posted on The Book of Life Podcast; emailbookoflifepodcast@gmail.com. 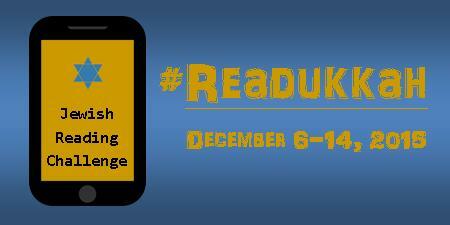 Use the hashtag #Readukkah somewhere in your review to help readers find you! You can also share the URL of your review on AJL’s virtual corkboard at www.jewishlibraries.org. Be sure to Google “#Readukkah” to find reviews others have written, too! By sharing your #Readukkah reviews of Jewish books, you will help spread the word about worthwhile titles, bringing them to the attention of more readers, increasing the market and supporting the publishing of more Jewish books! About the Association of Jewish Libraries: Established in 1966, AJL is a professional organization for librarians who work with Judaic collections in synagogues, schools, community centers, museums, archives, universities, and more. Other members are writers, publishers, booksellers, historians, and anyone with an interest in Jews and books. AJL is an affiliate of the American Library Association and the American Theological Library Association, and welcomes affiliations from other organizations with common interests. Learn more at www.jewishlibraries.org. About The Book of Life Podcast: Since 2005, The Book of Life has presented monthly interviews on Jewish books, music, film and web for adults and children. Host Heidi Estrin is a synagogue librarian, and her interviews reveal the backstory on treasures that could be found in a Jewish library like the one where she works at Congregation B’nai Israel of Boca Raton, Florida. Learn more at www.bookoflifepodcast.com. As we all await more news on the potential upcoming revival of Gilmore girls, why don’t you join me at Luke’s for a Santa burger as I make my holiday shopping list! Each resident of Stars Hollow reminds us of a friend or family member. Their quirks, their eccentricities… their ability to hold 425 jobs in the span of seven years. So this holiday, as you’re deciding what Santa will be leaving under the tree/Hanukkah bush for your loved ones, consider some of these books I would recommend for the Lorelai & Co in your life. I have given a fiction and non-fiction option for each character and all books were published in 2015 (so it’s a little less likely that the Rory in your life has already purchased it). Filled with sensationalism, gossip and crazy cult antics, Lorelai #2 wouldn’t be able to put this book down. And learning about the Tom Cruise craziness would give her something to annoy Luke with (as I’m currently annoying my own husband with my constant talk about Scientology). Lorelai Gilmore/Rory Gilmore/Lorelai Rory Gilmore/Lorelai V. Gilmore/Lorelai Victoria Gilmore/Lorelai Gilmo/Lorelai Gi/Squeegy Beckinheim/Tookie Clothespin spends her life requiring (and not getting) therapy about the damage being a member of the Gilmore clan has done to her over the years. The Art of Crash Landing discusses the difficulty inherent, the secrets created and kept by families and how members are undone by their birth right. And in this story, the main character narrates her own tale with a sassiness and snarkiness that Lorelai could appreciate. That person who would happily give her boyfriend Kafka for Christmas and not realize it was a “Czechoslovakian football”. Our little classics devourer, Rory would be unable to resist picking up this first draft of To Kill a Mockingbird. As a writer herself, I think she’d enjoy the insight into what can happen when the magic of editing is applied to an author’s work. And she’s a soft touch…. she’d hope that her dollars went to help pay for Nelle’s nursing home. Written by someone who spent 30 years in The New Yorker’s copy department, Lorelai Leigh Gilmore would be sure to enjoy this book about grammar and how we’ve mutilated it over the years. The ex-editor of The Yale Daily News probably shares many experiences with Mary Norris when it comes to people’s complete inability to use the semicolon correctly (can you tell this is a personal pet peeve of mine?). That person who regularly recommends the use of your bootstraps… and who owns lots of flannel. From the bestselling author of Paddle Your Own Canoe (another book I would be sure to purchase him), Gumption would absolutely be on my shopping list for one Butch Danes. Luke Danes kind of reads as a proto-Ron Swanson (with notably fewer obsessions with cured meats). And Nick Offerman, the man who gave heart to his Parks and Recreation character, has a similar every-man quality that I believe would speak to Luke. Aside from her involvement with the Daughters of the American Revolution, we’re not told all that much about Kelly Bishop’s character on Gilmore girls. However, I always get the feeling that she appreciates fine art. The Muralist, a story about the disappearance of a young American painter sparking the discovery of hidden artwork seems to me to be something that Emily Gilmore would devour in between her meetings with the DAR, high tea with Mrs. Van Uppity (“Hortence Van Uppity. Tight bun. Lace collar. Tiny poodle. Fictional friend”) and her work with countless committees and charities. Call me crazy, but I can absolutely see Emily devouring each book about the hijinks of an inept bounty hunter, her mess of a love life and her crazy and loveable grandmother. I always feel that there must be so much pressure on someone like Emily. Janet Evanovich’s series would serve as a much-needed escape for her. That person who would read all six volumes of The Fall and Decline of the Roman Empire… for fun. Although this was a rare DNF for me, I can see Richard Gilmore being into this slim book about the publishing world. Two rival publishing houses fight over talent while a particular poet has them both obsessed and competitive. The inside look into the publishing world and the appreciation for the history of the written world clear in Galassi’s writing is something I can see him picking up between rounds of golf at the club. A historical buff, Richard would thoroughly enjoy Larson’s non-fiction tale of the sinking of the Lusitania. But unlike most non-fiction, the word-lover in Grandpa Gilmore would be absorbed by Larson’s incredible ability to turn accurate history into a truly compelling novel. That person who rocks out and dreams big, even if her circumstances don’t encourage it. Nothing could be more appropriate for the drummer of Hep Alien than the memoir of the founding member of Sonic Youth. In addition to being a role model for a generation of women, the fact that she was able to maintain her rocker chick status while also being a wife and mother is something that I think Lane Kim really needs to hear. As the music industry is overpopulated by powerful men, a collection of short stories of intrepid and sometimes forgotten women in history is a perfect gift for the Lane in your life. Megan Mayhew Bergman’s beautiful, almost lyrical writing is something that would most certainly be appreciated by any musician. This story of a girl raised to love the art of food and become a successful chef in her own right is one that seems to be made for Sookie St. James. And the recipes that accompany the story of Eva Thorvald’s childhood and rise to fame would be perfect for when your chef friend is in a cooking slump and almost makes Valentine’s Day burritos. As an antidote to pretentious cookbooks that award the chef that uses the most organic, locally-grown kale, Thug Kitchen is a fun alternative. While Sookie doesn’t strike me as someone who drops the f-bomb on the regular, her sense of humor and ability to laugh at herself makes me think this would be a great gift. Let’s be honest, any decent chef in your life is probably in possession of at least four copies of Mastering the Art of French Cooking. So give Julia Child a rest and be ready to laugh/blush/gasp. And cook. Given the mythology of Jonathan Franzen’s persona, this would totally be a hate-read for Paris. And she’d love every second of it. Add in a dash of political activism, some ill-concealed sexism and Franzen’s usual self-admiration, and Paris Geller would be happily eye-rolling her way through this book. As someone who spent all of college trying to decide between a law degree and a medical degree, Missoula is the center of the Paris Geller reading Venn diagram. Krakauer’s powerful and honest work is something I can see inspiring Paris to go on to get a doctorate in sexual abuse law… using her knowledge of both the legal and medical fields to put as many rapists behind bars. Paris might be difficult to get to know, but she is fierce and always ready to fight for what is right. So now that your holiday shopping is done, grab a cup of peppermint coffee from Weston’s Bakery and people-watch in the gazebo, smug in the fact that the rest of us suckers have yet to even start! Today please welcome Naomi, who blogs at Boys in Books are just Better. I have had a facebook page for a little over a year, but only recently started a book blog on blogspot to to be able to do longer reviews, rants, summaries and just get a lot more people to see my material. My blog doesn't only do reviews, but also rants, my own personal summaries, book recommendations, and people can recommend books to me at any time. I love paranormal romance mostly, because when I read normal romance books I tend to get bored. Also, my favorite author, Jennifer L. Armentrout, and my sister have gotten me into the genre and I just can't seem to get out of it. Not that I would want to. Because I only started my blog recently, I tend to not get a lot of feedback. With that in general, I get really discouraged sometimes and don't feel like posting if I know no one is going to read it. But after I get over myself, I realize that only I can make people see my material. My two favorite series, that I think everyone who loves paranormal romance should read is the Lux series by Jennifer L. Armentrout and the Shatter Me trilogy by Tahereh Mafi. It depends. 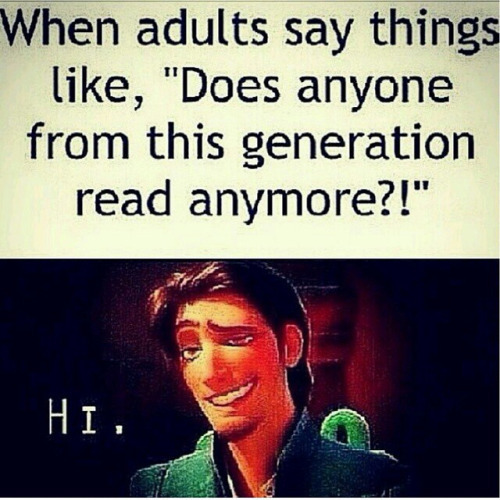 If it's a library book or you're borrowing it from a friend, I think it is an obvious no. But if you own the book and feel like writing something down in the book, go ahead. No one should tell people what to do with a book that they own. My favorite place to read would be at home or outside somewhere peaceful. Also, my favorite place to blog would be whenever and where ever I get time. Amazon is Amazon. If people want to use it go ahead. When I go onto other blogs, I get inspiration to keep on doing what I'm doing and eventually I'll get up there. Other blogs have taught me patience. Yes and no. If I'm just going around my hometown library I normally look at the covers to see what looks interesting, but if I'm looking for a specific book the cover could be poop brown and I could care less. One series that I never seemed to get into was the I am Number Four series. My sister is obsessed with it and I just never saw the interest in it. The Percy Jackson series. I liked the idea of it, but the length of the series made me never want to start for fear of never finishing it or being stuck in the series for months. I love watching T.V. shows and movies at home with my sister and decorating my small mother in law sweet that we live in at our parents house. Percy Jackson series. 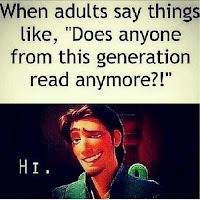 The only reason I know that is, because my sister has read every single book and made me watch the sad excuse of a movie. Thank you for joining us today, Naomi! Today, let's welcome Shannon from River City Reading. 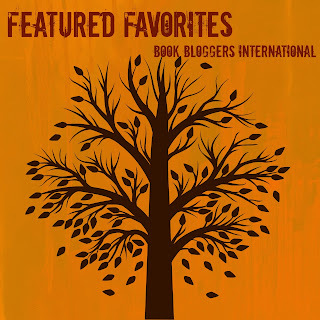 She is here to tell us about some book blogger favorites, courtesy of her very own top picks. I get the sense that I’m not alone in feeling let down when the Goodreads Choice Awards roll around near the end of each year. There tends to be a few books I’ve read or enjoyed, but more often than not the categories seem to miss out on many titles I see floating around the book blogosphere. Last year, I started to wonder what the Goodreads Choice Awards might look like if book bloggers had control. So, I gave it a shot. There were already a few yearly awards aimed at specific genres, but I was looking for something that would catch a bigger slice of readers. Rather than putting together an “award”, I simply wanted look at the new titles book bloggers loved the most (and figured it could act as a pretty great TBR to boot). Book Blogger Top Picks was born and is in the middle of its second year as we speak. 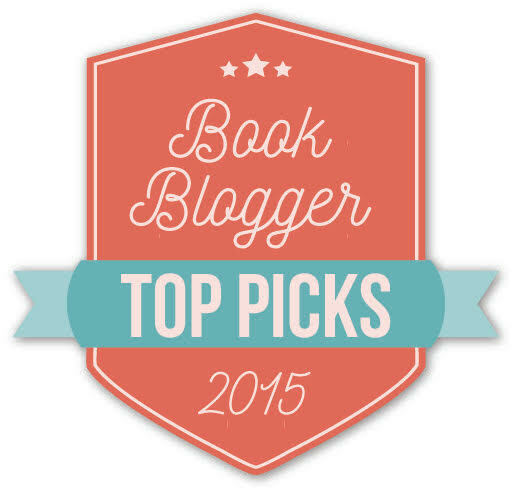 It starts with open voting, which is a chance for bloggers to write in their favorite books for each category. From there, I pool the responses into options for the semifinal round, which is currently open until November 23rd. The final round consists of the top three in each genre and will get going on November 27th. It would be great to hear your blogging voice this time around! I am excited to bring you Bryan of Still Unfinished. 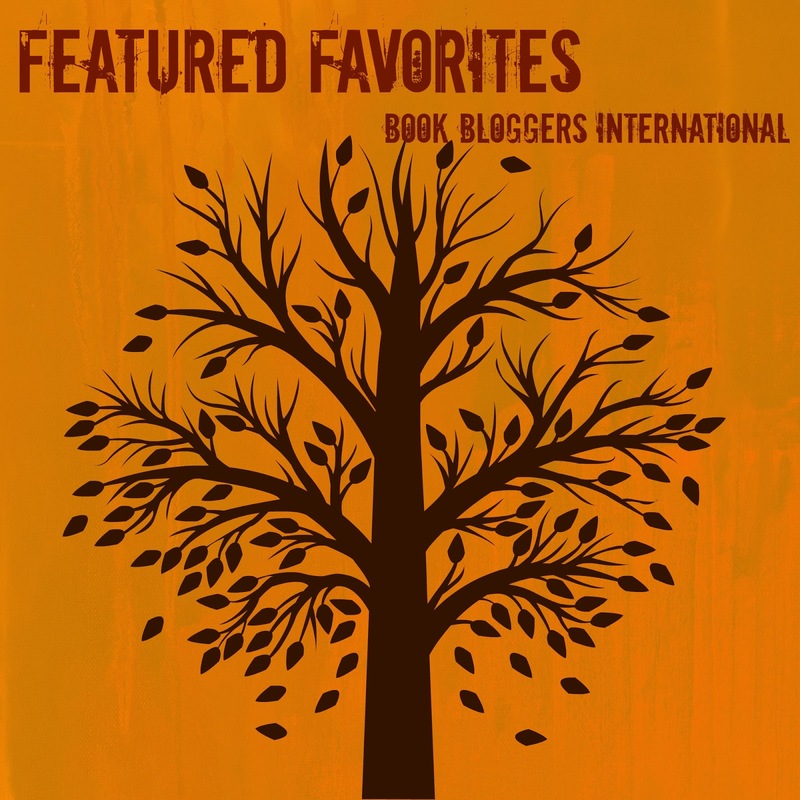 He has some favorites to share with you today, featuring diverse crime fiction. Get ready to add some books to your TBR list! In July of this year, the ladies at The Socratic Salon were discussing reading inside or outside the box? In response, I wrote that while I do feel the pressure to be a well-rounded reader, instead of giving into the pressure completely, I am attempting to be more diverse within the genre I read, which is crime fiction, than I have been in the past. Since then, I have read 18 books that I qualify as diverse crime fiction meaning that the authors are non-white or non-male authors, many with origins from another country. I thought with this post, I'd highlight a few of my favorite authors and series I've come across that fit that criteria since starting my own personal challenge as well as one or two I started before then. I heard about these two within the last couple of years after the success of Norwegian crime fiction writer Jo Nesbø, who has credited the couple with inspiring him with his own work, most notably the Harry Hole series which I also love. The husband and wife team from Sweden collaborated on the Martin Beck series, which spanned 10 novels about the Stockholm police detective and his squad. I read all of them within the last couple of years, finishing them earlier this year, and enjoyed all of them. 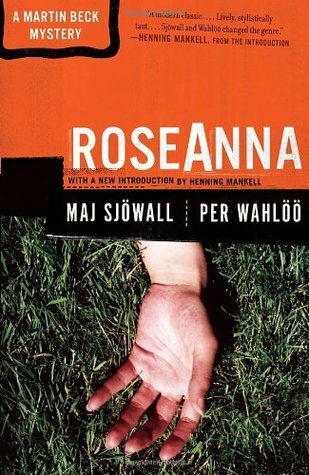 The series are police procedurals and it is only apropos, in my mind, that in the reprints of these works written in the 1960s and 1970s are introduced by modern crime fiction authors, who owe a lot to these two, considered separately as "The Godfather of Scandinavian Fiction" and "The Queen of Crime." I discovered Bilal, the pseudonym of British-Sudanese author Jamal Mahjoub , on OverDrive at The Free Library of Philadelphia (FLP) with his Makana Investigation series. 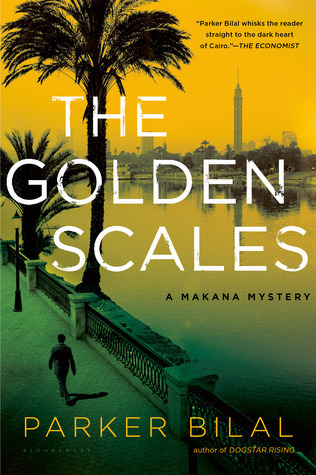 Makana is an exiled Sudanese police detective in Cairo and so far, there have been four books in the series, of which I have read three. The best so far was Dogstar Rising. I plan on buying and reading the fourth, The Burning Gates for the upcoming Thankfully Reading Weekend which I'm extending to all week since I happen to be off work the entire week. I think I first saw Blair's books at our library and was intrigued by them, but didn't pick them up until Belle of the blog Ms. Bookish mentioned that I should try them and so I did. 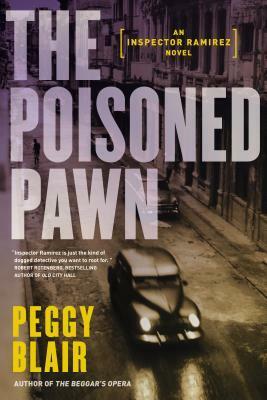 I enjoyed the first two of the series Blair has written about Cuban Inspector Ricardo Ramirez, although probably the second one a little better because it seems like she has honed her skills. Blair is a Canadian author, formerly a lawyer who now works in real estate. 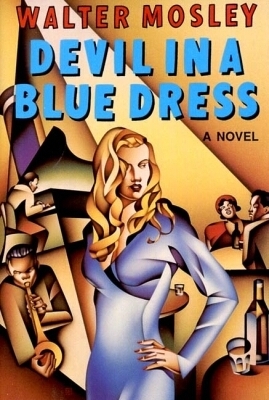 Mosley is not just a crime fiction writer as he also writes in science fiction as well, but he is most well known probably for his Easy Rawlins series of which Devil in a Blue Dress is the first. I remember seeing the movie years ago with Denzel Washington and Jennifer Beale and liking it, and reading the book, but only returned to the series earlier this year. I admit that I did skip one because it wasn't working for me, and learned that I have missed one other, but I'm now up to the seventh in the series, out of a dozen novels in the series and one short-story collection that I haven't read. Rawlins is very hard-boiled, extremely rough around the edges, but he always is looking for justice on the streets of L.A.. The series starts in the 1940s and goes up through the 1970s as far as I've gotten. 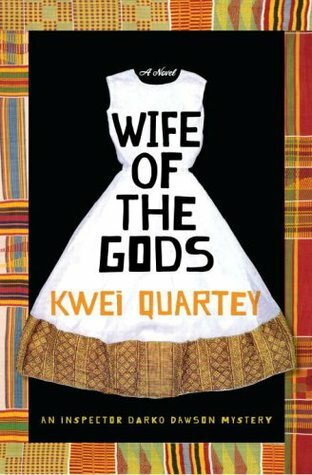 Born in Ghana, now a doctor living in California, Quartey writes about his native country through the eyes of his detective Darko Dawson, who works in Accra, the country's capital. I have read all three in the series so far, although I didn't care for the last one as much as the first two. However, I know I'll probably still give a try to his next one, Gold of Our Fathers, expected out next year. I discovered him through FLP as well.